Old Fashioned Oatmeal Cake, dense, moist cake with a broiled coconut pecan icing that will remind you of baked oatmeal with icing on it. Did you know that January is National Oatmeal Month? Another thing you might not know is that there is more oatmeal eaten in the month of January than any other month. This Old Fashioned Oatmeal Cake is one of my Mother's recipes that I recently found out was a favorite of my husband's when we married and forgotten in the last years. I don't know if you are like me when you have recipes that you make over and over, and then you see a new recipe, and it takes over the popularity, and before you know it, the old one gets pushed back in the recipe box and forgotten. Well, that is what happened to this recipe. I noticed this recipe the other day when I was going through my Mother's recipes and decided I needed to bring it back to the forefront. I have forgotten how good it is, and how much I enjoyed seeing the smile on my husband's face when it comes out of the oven. Do you have recipes that you have forgotten over the years? I hope you get back to making some just like did with this cake. Enjoy! In a small bowl, pour hot water over oatmeal; set aside. In medium bowl, combine dry ingredients; set aside. In bowl of an electric mixer using the paddle attachment, cream butter until fluffy. Add sugar and beat until creamy. Add eggs one at a time mixing until well incorporated. Add the oatmeal and the dry ingredients and mix until all is incorporated. Pour in a lightly greased 9 x 12 baking pan. Bake for 20 minutes. Remove from the oven and spoon icing over the top evenly. Return cake to the oven and bake for 20 minutes or until cake is done and lightly brown. Broil for 2-3 minutes before removing cake. In a medium size saucepan, heat butter, brown sugar, and milk until boiling. Boil for 1 minute. Remove from the heat. Add vanilla, pecans and coconut stir well. He will yet fill your mouth with laughing, and your lips with rejoicing. this looks so delicious! 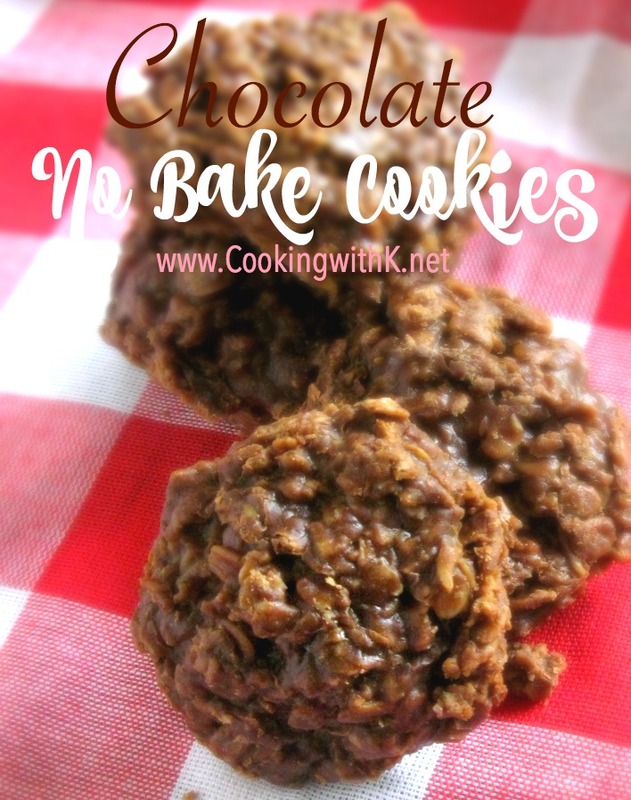 I love oatmeal cookies and think I would really enjoy this! Hope you're having a great day! Sounds wonderful! I didn't know about national oatmeal month - but January sounds like a good time - LOVE the frosting too! Wow, those look amazing! Definitely a better way to celebrate Oatmeal Month with than, well, oatmeal. :) Thanks for sharing on Crazy Sweet Tuesday! well, this is the THIRD recipe I've pilfered from you!! You're filling up my recipe book. thank you Jennifer ~ you are a blessing here at CWK and I hope you come back often! 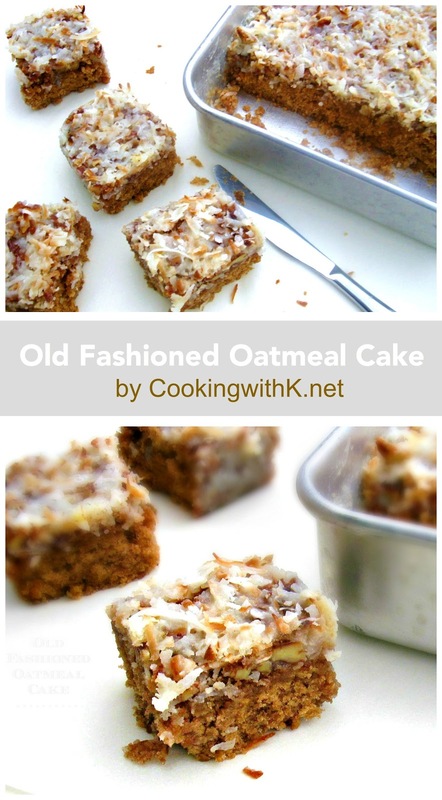 I've never heard of oatmeal cake, but this looks wonderful! I'm a huge fan of oatmeal - and this is a great alternative to the usual preparation! The recipe didn't say when to blend in the dry ingredients or the oatmeal, so I had to wing it. Also I have a glass pan, so I reduced the temperature. It's in the oven now and I will let you know how it turns out! Thanks! The oatmeal...should that be folded in afterwards or done in the mixer with the flour mixture? I ended up folding it in at the end. It turned out tasty but didn't look so great, and I had to cook it for longer after reducing the temperature for the glass pan. Still...my 8-year-old can't get enough of it! He devoured it. I think I can do a better job if I get the right pan though! This looks so good! My family is going to love this for Sunday dessert. Thanks for sharing! i've never tried oatmeal cake before! this looks incredible!!! please link it to Foodie Friday Hope to see you there! 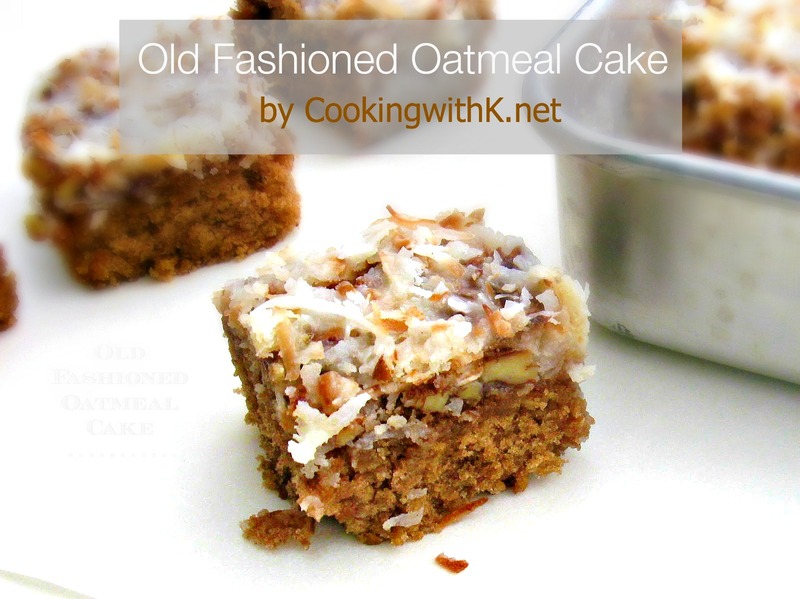 I just love this Old Fashioned Oatmeal Cake, I almost sure that we have had this before at my Mothers. It would be delicious! Hope you have a great week end and thank you so much for sharing with Full Plate Thursday. This bread looks amazing! I love anything and everything that is made with oatmeal. I didn't know it's national oatmeal month! Now I'm inspired to make an oatmeal dish! Great. Thanks for posting. Brought back memories of a cake my mom used to make. Reminded me of a cake my mom used to make that I had forgotten about. Made my mouth water! I made it this morning and it turned out great. Thanks for posting. This cake looks great! I love that frosting with the pecans and coconut. Lots of good stuff going on here! What a great and different way to enjoy oatmeal. And I love that you said it brings back memories of baking with your mom:-) Thank you for sharing with Trick or Treat Tuesday! oh wow...that looks really delicious! I enjoy oatmeal everyday, I didn't know that January was national oatmeal month...this oatmeal cake looks and sounds delicious. Thanks for sharing. Thank you for visiting my blog and for taking the time to leave me such a sweet note. I apologize for taking so long in getting back, as I have been off line for a week. THANK YOU!!!!! I made this today and it has finally cooled enough for me to taste and it is just delicious! I had a really hard time waiting for it to cool down...the smells from my kitchen were intoxicating!! THANK YOU!!!! This came out of the oven a little while ago and I have to say waiting for it to cool down was very difficult! The smells from my kitchen were intoxicating and I kept going in to check and see if it was ready for tasting!! It was so worth the wait...it was delicious and I know will be a new staple in my house! Yea ~ I am so glad you enjoyed this recipe...it is a keeper for sure! Just took a pan out of the oven but this time I made it for a friend who is just out of hospital recovering from surgery and as she is diabetic I have tried it with Splenda White and Splenda Brown Sugar. I also used 1 cup white flour and 1 cup King Arthur White Whole Wheat Flour. I will let you know how it turns out. It smells just as delicious as the last time and I bought myself a new pan so it actually looks a little better...lol! Here's hoping it will turn out the way I'm imagining!! Wow, does this sound delicious, K! This is my first visit to your beautiful blog & I'm now your newest follower, too. You take GORGEOUS photos!!! p.s. I ♥ your quip at the bottom of the comments. "doesn't mean I can't stop and have a cup of coffee or tea and listen to your little tidbits and blushing comments." Hahahahaha! Rett ~ you are a blessing here at CWK and I hope you come back often! I love this recipe and am so going to try it. I love oatmeal flavoured anything. In fact, I found a recipe once for oatmeal ice cream and it was like eating a bowl of it but it was icy cold. I love old recipes too. Thanks so much for linking up to "Thriving On Thursdays" last week. We'd all love to see what you've been up to this week. Hope to see you again soon. I adore this recipe - I sampled it from a friend a few years ago and I bugged her until she gave me the recipe. Of course it was a recipe she had gotten from her mother. Absolutely delish! This cake looks amazing - so moist and luscious! I really could go for a piece right now. Thanks for sharing your grannie's recipe with the HnS Hop. I've never heard of oatmeal cake. This sounds great, especially the topping! Oh my goodness- this looks so good! Found you at Back For Seconds Social! My husband loves oatmeal cookies, so your recipe is perfect. The icing and topping is sublime! 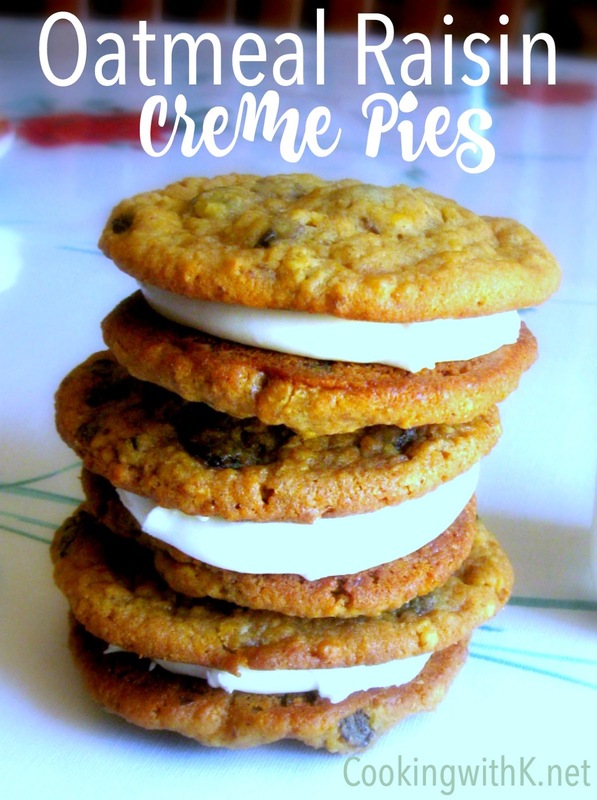 Thanks so much for including your recipe at Foodie Friday! 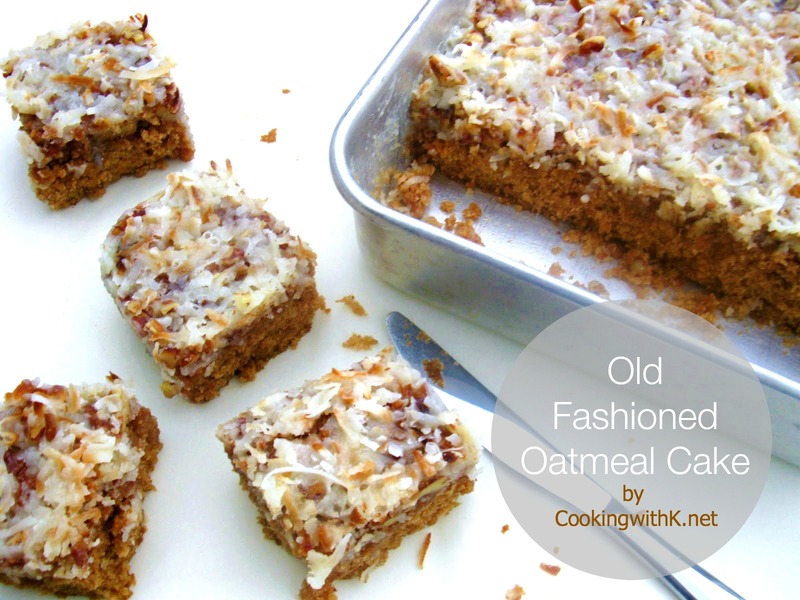 Thanks for linking up to our Strut Your Stuff Saturday with this yummy oatmeal cake! We can't wait to try this. Have a great weekend. homemade anything is worth the time it takes to make. these oatmeal cakes look just a good as the recipe. Love, love this!! Visiting you from Rattlebridge Farm-Foodie Friday!! A delicious recipe AND it brings back wonderful memories? Priceless! This really does look amazing, Kay. No wonder it was one of your husband's favorites!